Outdoor Creations Roofing specializes in commercial roofing solutions for office buildings, shopping malls and industrial facilities. 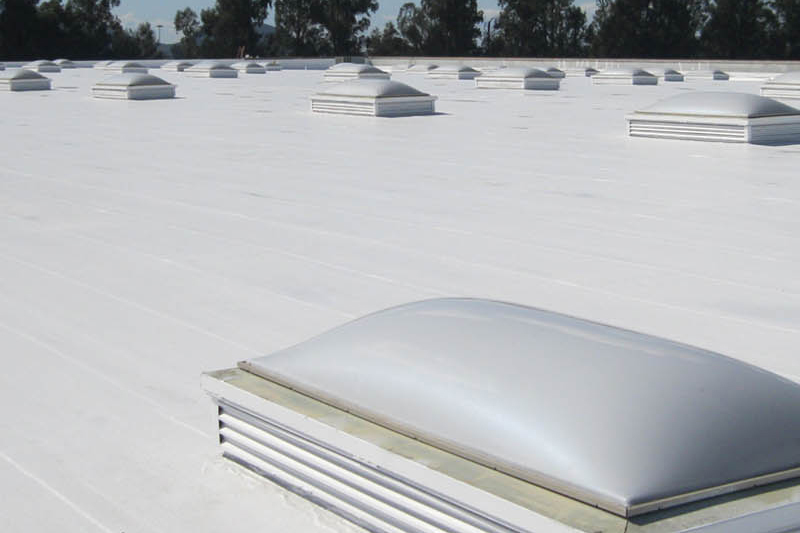 For any size business, large or small, we offer a wide selection of commercial roofing system options along with exceptional products and materials installed and maintained by experienced and qualified roofing specialists. Commercial roofing is a specialized area of roofing and not just any company can get the job done efficiently and dependably. Our licensed and insured team is experienced with working in busy commercial environments and maintains the highest standards for safety and efficiency. After a thorough inspection, we work closely with our clients to ensure that the right choice is made for their roofing and waterproofing needs. Based on your long term goals and budget, we provide a complete and detailed report tailored specifically for your project With many successful roofing projects completed in the Tulsa region, we can fulfill any requirement.